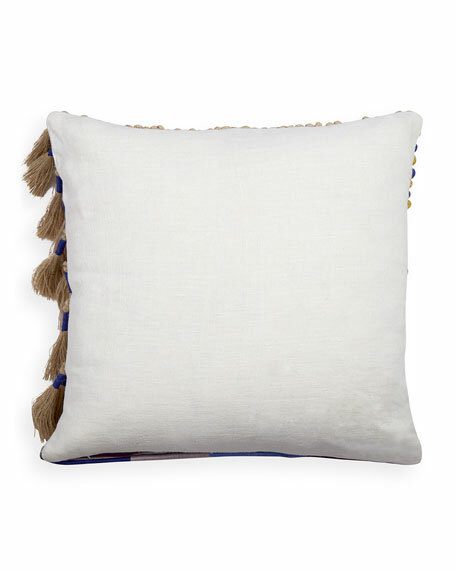 Linen pillow hand decorated with cording and tassels. 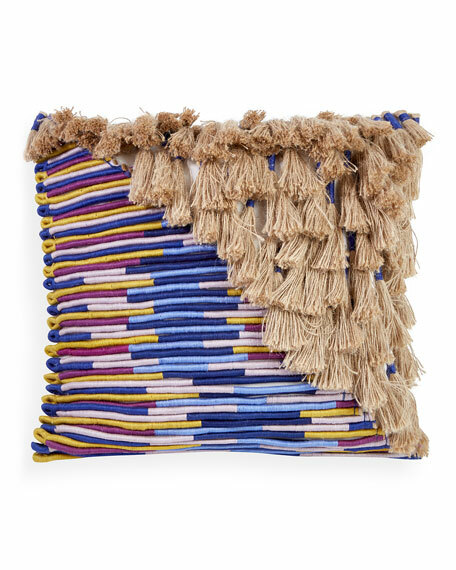 The jute cords are hand wrapped with boldly hued rayon yarn. 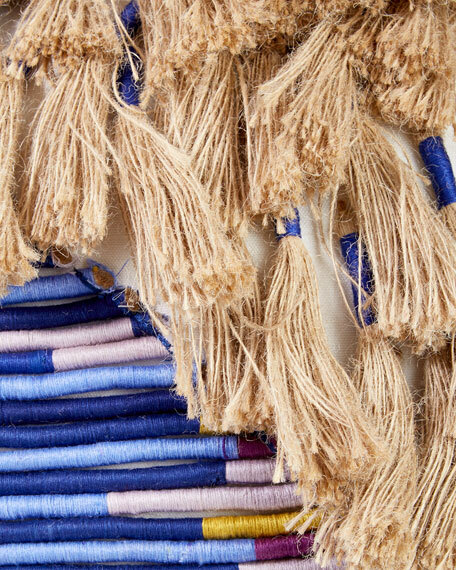 Handmade tassels are jute with brass detail.